Scientists are extracting lead from tooth enamel to pinpoint birth and death locations of ancient people. They’re using the information to track the movement of prehistoric Maya and potentially solve mysteries surrounding the civilization’s origins and eventual demise. 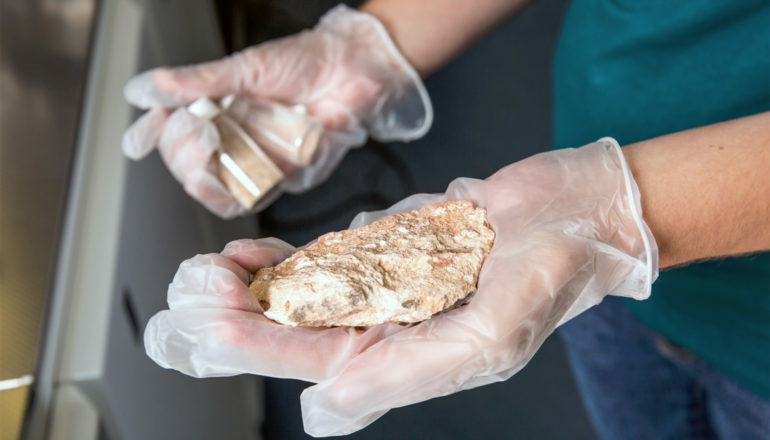 University of Florida doctoral student Ashley Sharpe sampled lead isotope values found in rocks, which act as local signatures, from the Chicxulub crater in the Yucatán Peninsula—the site of the asteroid impact that wiped out the dinosaurs—and places in Belize, Guatemala, and Honduras. Details of the new study are described in PLOS ONE. When our tooth enamel forms during childhood, it incorporates elements from the local environment, including the dust we breathe from rock layers beneath our feet. Bones, on the other hand, change every few years. And as we decompose, our bones soak up materials around the area we’re buried like a sponge. Tracing the movement of individuals via their teeth can offer clues about marriage alliances and slavery practices. Building knowledge of individual lives helps archaeologists figure out which villages were enemies, which were allies, and how the Maya communicated and traveled between cities. This could lead to a better understanding of how communication networks developed between Maya states, Sharpe said. If someone unearthed the remains of a native Floridian 1,000 years from now, the lead in their teeth would probably be the same as someone from across the country because we all breathe similar pollution, which contaminates the lead, says study coauthor John Krigbaum, a biological anthropologist. Other study coauthors include Kitty Emery with the Florida Museum, Adrian Gilli with the Swiss Federal Institute of Technology, and David Hodell with the University of Cambridge.